Comment : This was long time ago I tried to take a photo of. Increased focal length give some more detail. 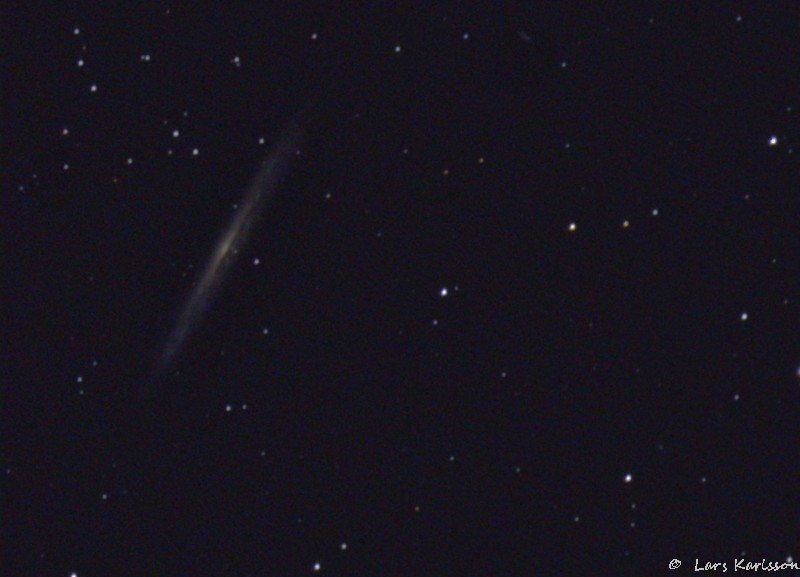 Look closely and you can see the dark band that divide the galaxy in two halfs. 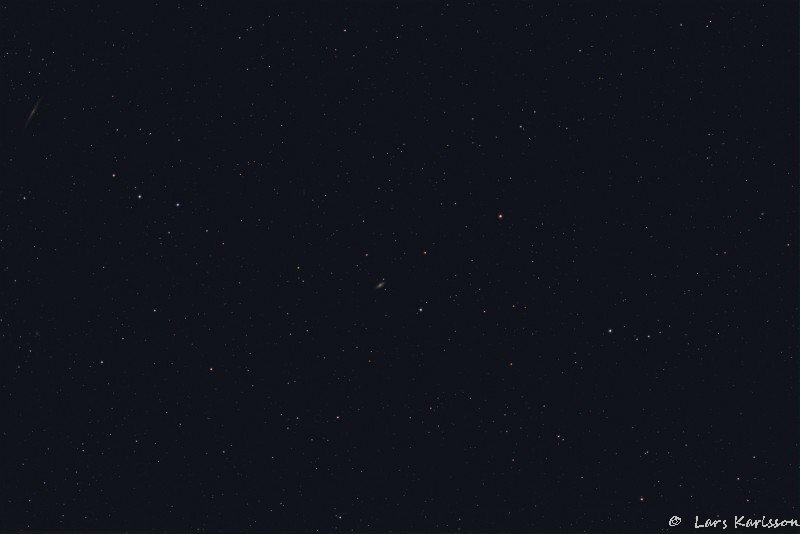 Comment : This galaxy is far away and in my telescope it's just a tiny dot in the center. There are two galaxies at least in the photo. 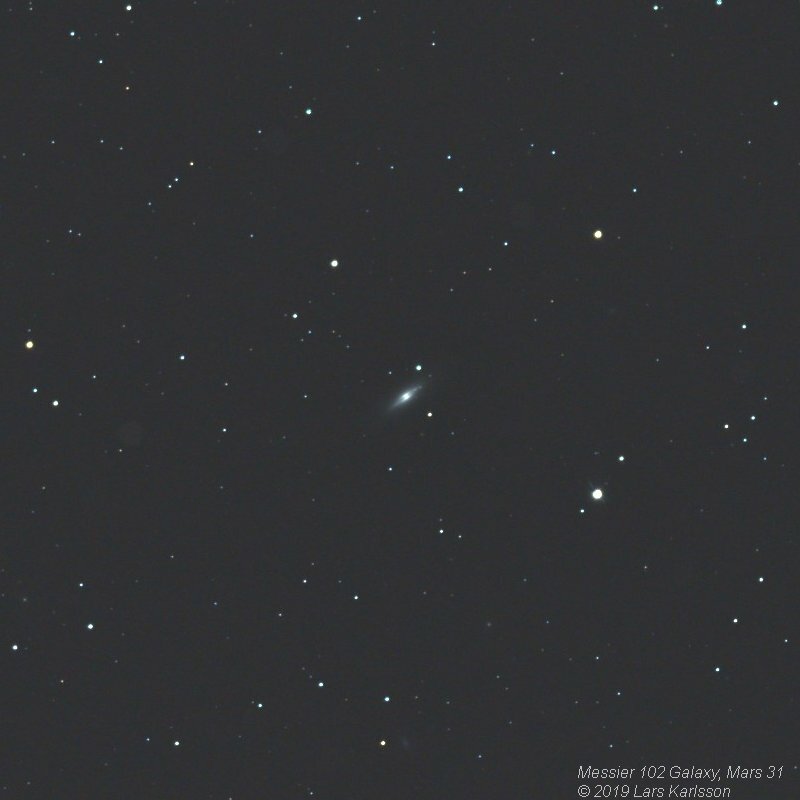 Comment : Here is a zoom in on the M102. Comment : In the photo there are many galaxies, one is to the left upper corner. 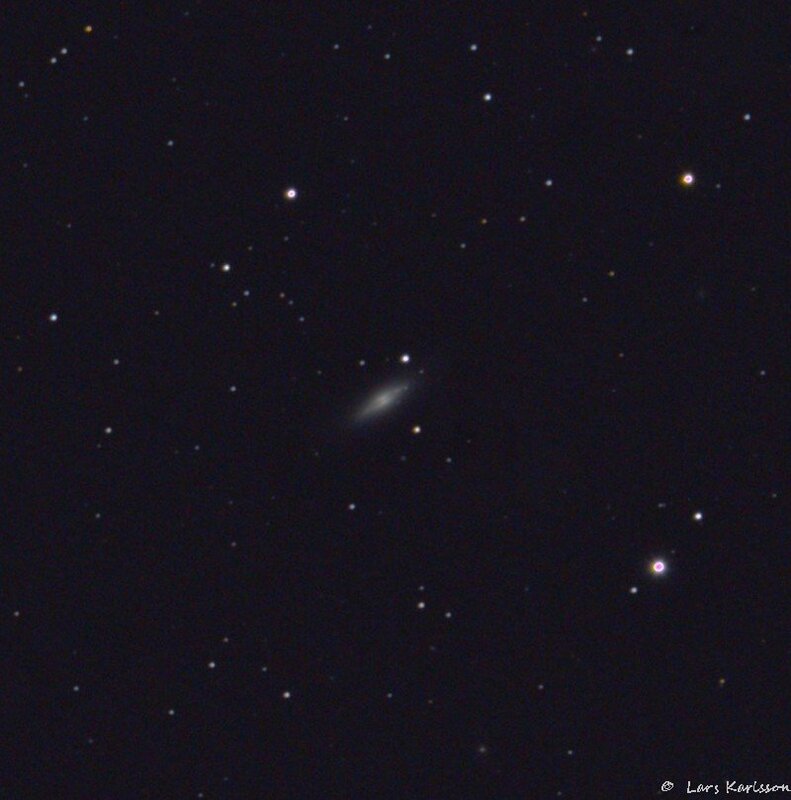 The NGC5907 galaxy.